Fogarizzu is a man to watch and invest in. His work is flawless and of great imagination. 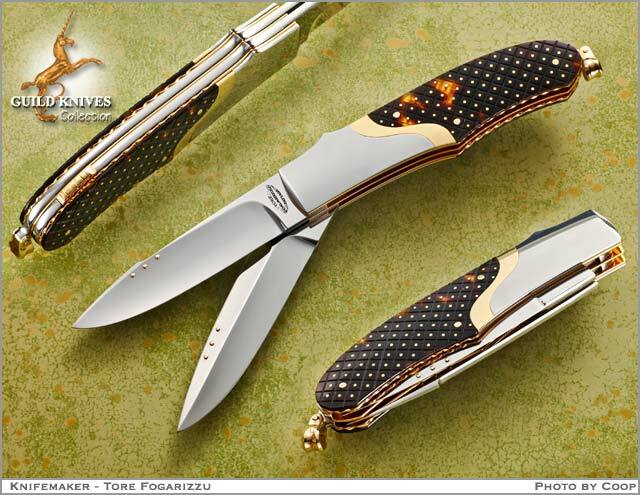 Antique tortoise is the material of choice for gold pique work and you have it here in spades in a two blade trapper. Gold appointments throughout such as all 140 of the pique pins, blade pins, bale, rear lock release, and bolster inlay.